That’s it. 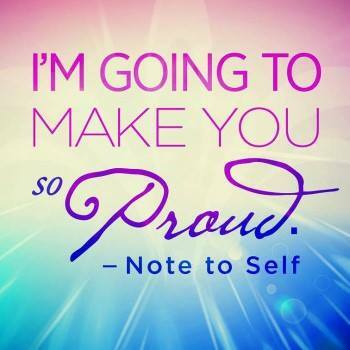 Make yourself proud. Our message is not talking about our ego. It is talking about our real self…our authentic self. If we are true to it, gentle with it, non-judgmental, and do our best to make it proud, we are living our best self. It is all that is asked of us. It is enough.